크래프트는 펀드매니저가 지시한 컴플라이언스 정책, 리스크정책, 투자유니버스, 투자방법을 완벽하게 준수하면서 최적 마켓타이밍과 매매전략을 학습할 수 있는 AI ETF 운용시스템을 공급하고 있습니다. 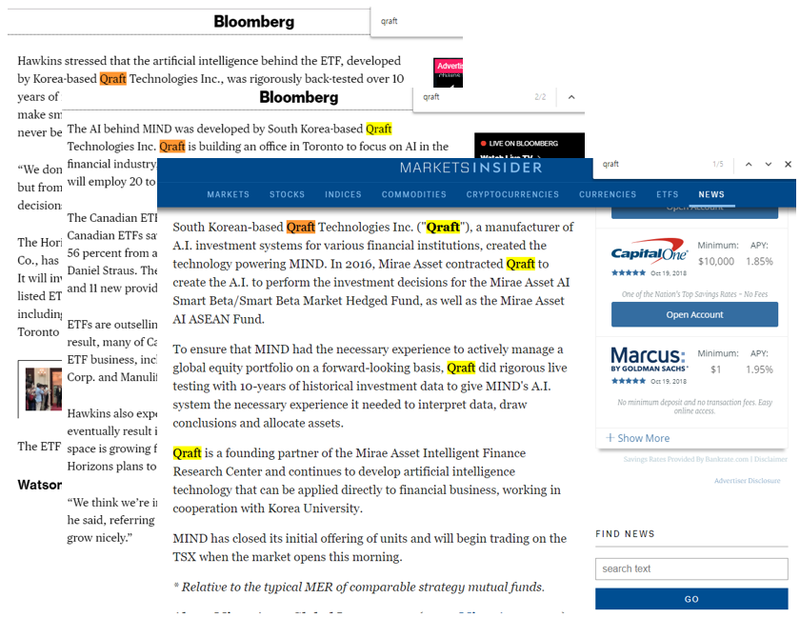 Qraft offers an AI ETF operating system that has the ability to learn optimal market timing and trading strategies while fully complying with the fund manager's compliance policies, risk policies, investment universes, and investment styles. 크래프트와 ETC는 크래프트의 딥러닝 기술이 적용되어 100% AI에 의해 운용되는 ETF 2종의 뉴욕증권거래소(NYSE) 상장을 앞두고 있으며 이는 국내 AI 자산운용 분야 기술 수출의 첫 사례입니다. Qraft Technologies and ETC will launch on the New York Stock Exchange (NYSE) for two AI-driven ETFs using Qraft’s deep-learning technology. It is the first of its kind in Korea to export AI Asset management technology. Then how does AI learn ? 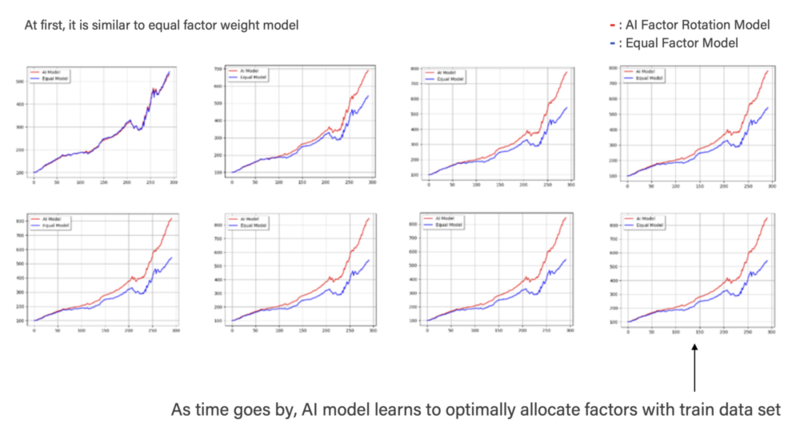 - Our own framework to get optimal portfolio strategy while avoiding overfitting as much as possible. How did our AI model make decisions during the financial crisis?